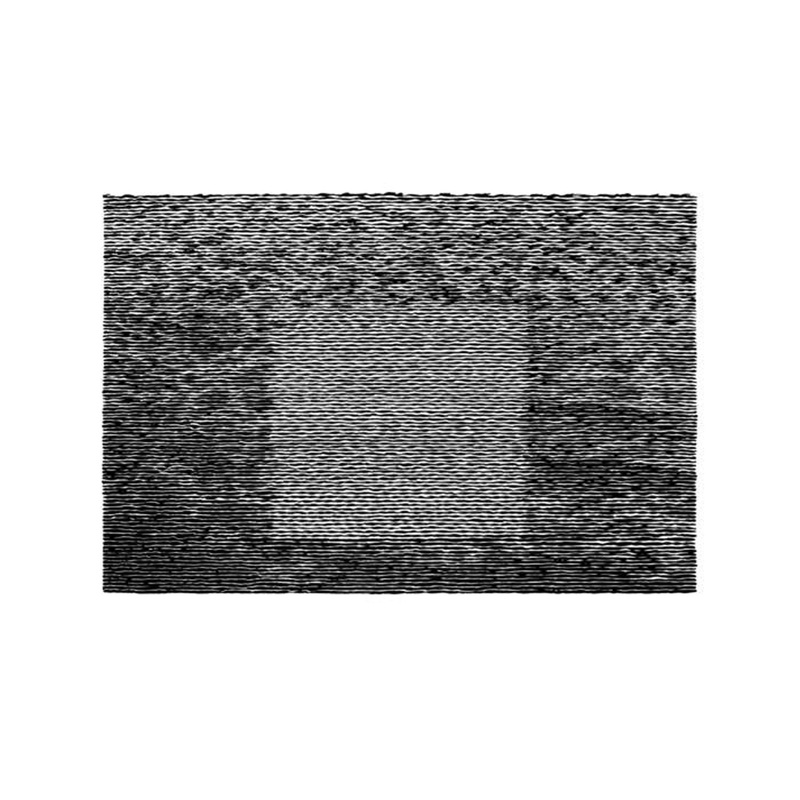 Brainwashed - Grouper, "Grid of Points"
Liz Harris's Grouper project has taken on quite an unusual and fascinating trajectory over the last several years, transforming into something that feels like a slowly unfolding series of poetic postcards from a ghost. Grid of Points, the most recent window into Harris's soul, continues to further distill the stark and tender fragility of 2014's Ruins, unfolding as a 22-minute suite of gorgeously ephemeral piano sketches that blur together to weave a hypnotic spell. I suppose the word "sketches" conveys a somewhat unfinished aesthetic, which is not far from the mark, as these sessions were unexpectedly curtailed by a bout with high fever. In a deeper sense, however, that fever was providential, as these pieces are perfect in their spectral elusiveness, evoking (as Harris herself puts it) "the space left after matter has departed, a stage after the characters have gone." Notably, these seven pieces were recorded several years ago during a brief 2014 residency in Ucross, Wyoming. Grid's predecessor, Ruins, was also recorded during a residency (that time in Portugal, back in 2011). That approach of short bursts of intense creativity followed by years of reflection is quite an unusual creative process, as a willingness to slow down and thoughtfully craft something as quietly devastating as Grid of Points is quite rare. I would be curious to know how much material Harris discarded from these sessions, as these pieces feel like they have been tenderly reduced to their absolute essence, leaving only the most soulful and heavenly residue behind. Occasionally, that tendency can admittedly be a bit exasperating, as the lovely and hymn-like opener "The Races" does not even stretch to a full minute. The delicious flipside of that, however, is that Harris occasionally floors me with something like the achingly gorgeous and utterly sublime "Parking Lot." Structurally, "Parking Lot" is very much representative of Harris's vision for the entire album, as the remaining five pieces are all variations of elegantly simple piano melodies married to languorous and lush vocal harmonies. The only real difference between "Parking Lot" and the rest of the album is that its vaporously beautiful vocal melody is an especially stunning one. The halting and slowly cascading melody of the following "Driving" is yet another highlight, but it is definitely "Parking Lot" that steals the show. I cannot think of many other pieces that are so deeply soulful, emotionally direct, and elegantly simple. Harris has come quite a long way from her murkily reverb-swathed early days (though they were great too). After that impressive run of opening pieces, Grid''s simple and understated approach starts to blur into something a bit more amorphous and dreamlike. There are still actual songs, but the melodies are not as prominent or memorable. That said, it does not feel like Grid is front-loaded with its best work so much as it feels like the album is slowly dissolving and dissipating into a pleasantly hallucinatory fog of rippling arpeggios and blearily floating vocals. Intriguingly, that steady descent into soft-focus languor sets the stage for the unexpectedly sensual and experimental final piece "Breathing." Initially, "Breathing" recaptures some of the swooning and lyrical melodicism of the album's opening pieces, almost resembling a seductive R&B ballad reduced to just breathy vocals with a skeletal, one-finger piano accompaniment. It is definitely a great song while it lasts, yet it unexpectedly gets swept away by a surprisingly loud field recording of a train after about two minutes. That move is an impressively perfect and inventive way to end such a delicately dreamlike and quiet album, cathartically rumbling through the fragile idyll and leaving only the slow fade of its chugging engine behind. It is both climactic and deliciously ambiguous, simultaneously evoking a wistful longing for faraway places while also feeling like the inevitable intrusion from the outside world that erases all traces of Harris's quiet, fragile, and soul-baring reverie. I especially love that the train's lingering wake is given just as much time and importance as the song itself, blurring the line between art and life and giving the album a very real sense of place (it was recorded on cattle ranch in Wyoming, after all). If this were a normal album by a normal artist, I would probably be a bit disappointed that Grid of Points is incredibly short for a full-length and only contains a few memorable pieces, yet it feels weirdly perfect for a Grouper album: this is not so much a batch of songs as it is a lovely oasis of simplicity, depth, and sincerity undiluted by any clutter or conspicuous artifice. This is a very direct and vulnerable album quite unlike anything else that is being released these days. While Grid is probably too brief to be a legitimate contender for the best Grouper album, "Parking Lot" is certainly one of the most rapturously beautiful pieces that Harris has ever recorded and the album as a whole is unquestionably another significant leap forward in Harris's evolution as an artist. With her palette reduced to simply her voice and a piano, she has taken her work in a transcendently timeless and pure direction, straining to eliminate anything and everything that dilutes or distracts from an intense and direct emotional connection–all that might ring false or inessential has been burned away, making Grid's extreme brevity a strength. Grid of Points is very much the result of a lengthy and thoughtful distillation process rather than a dearth of new material. Naturally, that internal struggle to make something truly deep and meaningful has slowed Harris's output considerably in recent years, yet the results are certainly worth it: the rare moments when everything falls into place just right are truly special and damn near ecstatic. Grouper is like a once-mighty spring that has gradually slowed to a quiet trickle, yet magically spits out a diamond every now and then. With her last few albums, Harris has gone far beyond being a good songwriter with a distinctive aesthetic, blossoming into something of a visionary, using the most basic and unadorned palette to transform pop-like song structures into deceptively radical and moving art.